It is essential to have caring and knowledgeable support at your side, looking out for your best interests and that of your baby. Joyce's insight into complex adoption matters and lengthy experience running an adoption agency can prove invaluable for you. Let us help you overcome the emotional and legal issues that can arise for your family during an adoption. From complex lease contracts to purchase agreements, we anticipate and remove obstacles from your path. We safeguard the short-term and long-term interests of Washington businesses through every stage of growth. We are faced with important decisions every day, in both our personal and professional lives. Some decisions have minor consequences. Others have the potential to cause lasting financial or emotional changes. When these decisions involve legal matters, it is critical to understand your options and work with an attorney who has your best interests at heart. This can go a long way toward helping you accomplish your goals. Joyce Schwensen is a Washington attorney who assists people with important, life-changing decisions, whether that choice is to adopt a child, to place a child for adoption, to open a small business, to buy, sell, or lease real property, or to prepare an estate plan that secures the future of loved ones. She understands the importance of any of these decisions and directs the full breadth of her experience and knowledge to helping Washingtonians reach informed decisions and carry out those decisions successfully. If you're considering adoption, if you own or plan to open a small business, if you are buying, selling or leasing real estate, or if you are making an estate plan, you need to have qualified, skilled counsel assist you. Call the Law Offices of Joyce S. Schwensen at (206) 367-1065 today to schedule a consultation. Joyce Schwensen is based in Seattle and represents clients throughout Washington. She has been practicing law since 1984. She understands that when dealing with such important matters, it is critical to have continuous, open communication with her clients. In addition to practicing adoption law, Joyce Schwensen served as the founder and executive director of an adoption agency for 10 years. She is an adoptive mother herself and is passionate about helping both create families through adoption. Joyce Schwensen helps birth mothers make adoption plans and move forward with placing children for adoption. Birth mothers have options when making adoption plans and are likely to have the best peace of mind after this important life decision if they go through the process aware of these options. A lawyer can be useful to provide all the available information about what these choices mean. Joyce Schwensen guides birth mothers so they can make informed decisions that are best for themselves and their children. If you are seeking to adopt a child, it is important to first decide what kind of child you hope to be a parent to. Some people seek to adopt newborns while some prefer to adopt older children. Each have unique joys and challenges, and the adoptive parents must seek the right child for them. Having an idea of the type of child you're seeking affects the kind of adoption you pursue. For example, if you hope to adopt a newborn, a private adoption generally allows for the most choice in the child you seek. Joyce Schwensen helps adoptive parents make the important adoption decisions and can lead them to the child that is meant for them. Many times grandparents, step parents, or others are raising children without the benefits and protections of legal adoption. Going through the legal process of stepparent adoption or grandparent adoption is important because it's the only way to be sure you'll have the permanent legal right to make decisions for the child you are raising. For instance, if you are a stepparent and your spouse becomes incapacitated or dies, you may have no legal claim to continue raising the child. And if you are raising your grandchild, you and the child may have no protection from the parent returning and suddenly taking the child from your home. Joyce Schwensen helps stepparents and grandparents with adoptions in Seattle to ensure this doesn't happen. The Law Offices of Joyce S. Schwensen also helps people seeking to become parents through assisted reproduction. Assisted reproduction involves continually emerging technologies, and it is critical that all parties understand their roles and rights and have a firm and clear agreement. If you're buying or selling real estate, you're dealing with an expensive investment. it is important that you understand all potential ramifications and possibilities. Joyce Schwensen practices real estate law, and is an experienced hand in assisting buyers and sellers through their transactions — reviewing the structure, counseling on the legal requirements and possible liabilities, and advising on how the deal may be improved in her client's favor. Real property can also have issues related to title. By its nature, real estate has had many owners over time. If title hasn’t been handled properly in the past there can be defects in title that last for years. Title defects can cost property owners the ability to fully enjoy their property and can even bring into question who is the true owner. Title issues also tend to be very complicated and technical. However, Joyce Schwensen is a diligent real estate attorney who will delve into complex title issues and advise clients how to best address them. Joyce Schwensen also represents landlords in the Seattle area. When a tenant breaks a lease by not paying rent or any other form of non-compliance, it comes as a tremendous expense to the landlord. Landlord's remedies, including eviction, require court intervention. If you are a small business owner, or are starting or purchasing a small businesses, you need an experienced attorney on your side. Joyce Schwensen can help you create your limited liability company or corporation, prepare your operating agreements, and review all contracts and agreements with customers, clients, vendors and suppliers. These contracts must be carefully drafted to protect the small business's interest, and prevent unintended consequences. As a small business owner herself Joyce has the real world experience to help other small business owners achieve success. Joyce Schwensen assists small business owners in Washington State. If you are buying or selling a small business, due diligence is key. You must have a full understanding of what you are buying or selling, and know the potential liabilities. It is vital to insure that all taxes are properly paid, that any installment payments are properly secured, and that the many details involved in these transactions are properly handled. Joyce Schwensen is an experienced business lawyer who can review the proposed transaction, help you negotiate the best possible deal, and protect your interests throughout the process. State law makes provision for passing your assets on to your next of kin if you die without a Will. But that doesn’t mean a Will is not necessary. There are many important matters that can only be handled by a properly prepared Will. For example, designating the people that you want to become guardians for your children, and choosing who will be in charge of closing out your estate, whether they will have to get court approval for every decision, and whether they will have to post a bond, are all issues that can be resolved in advance by having a Will. When writing a will, it is very important that you understand all the important issues, and that your wishes are properly expressed. 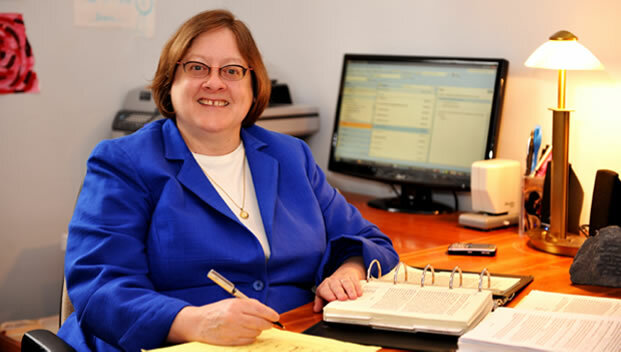 Joyce Schwensen is an experienced lawyer who helps clients with wills, estates, trusts and probate matters. The Law Offices of Joyce S. Schwensen are based in Seattle and serve residents and businesses in King County and nearby communities, including in Bellevue, Kent, Renton and Federal Way. For some matters, Joyce Schwensen can serve clients in other parts of Washington, including Spokane, Tacoma and Vancouver. Joyce Schwensen is a Washington attorney who advises and represents clients on important life decisions, including adoption, small business matters, real estate and probate. She gives all of these matters the diligence and hard work they deserve. If you're considering any of these matters, you can have her experience and knowledge assisting you. Call the Law Offices of Joyce S. Schwensen today at (206) 367-1065 to schedule your consultation.